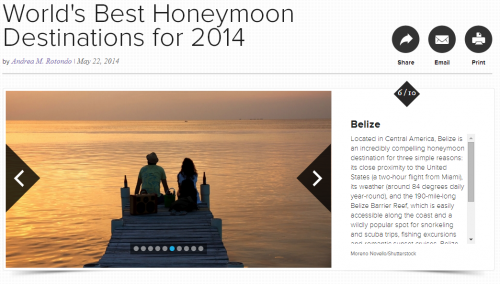 Belize has been voted as one of the World’s Best Honeymoon Destinations for 2014! 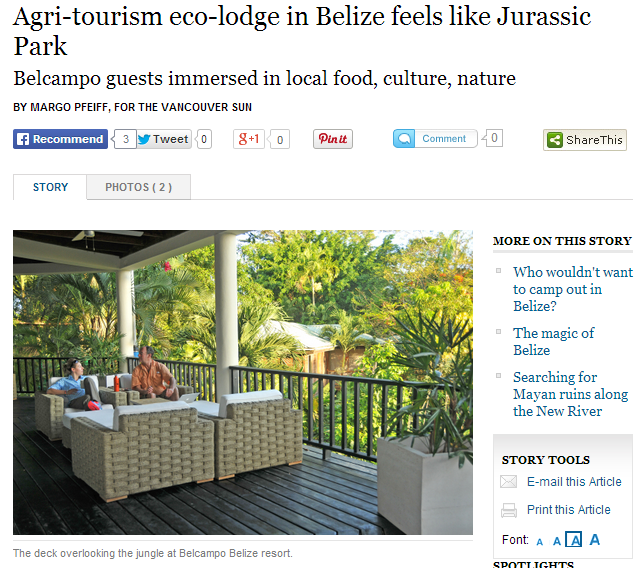 To experience a fantastic holiday in this beautiful eco-lodge, check out more information about Belcampo Belize here. 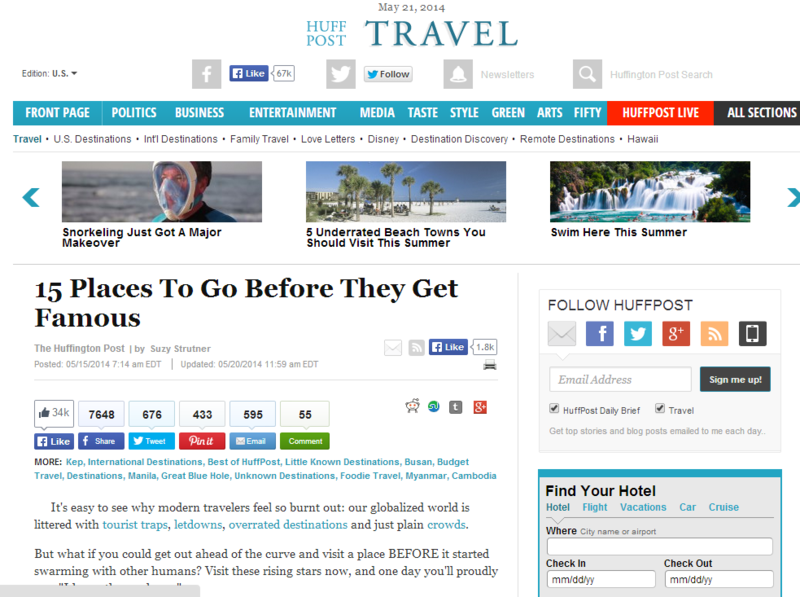 “Belize is set to become Central America’s newest hotspot, and if so, Ambergris Caye will be its crowning destination. TripAdvisor named Ambergris a “Destination on the Rise” last year, probably because tourists are catching on to the immense diving potential of the Great Blue Hole.” Read more here. Belizean entrepreneur Mr. Richard Harrison has conceptualized a 10-year project – The Summer of Gold (Verano de Oro). The plan is to plant 100,000 Cortez Trees throughout Belize, especially on properties near the highways. The Cortez tree is a flowering forest specie native to Belize. 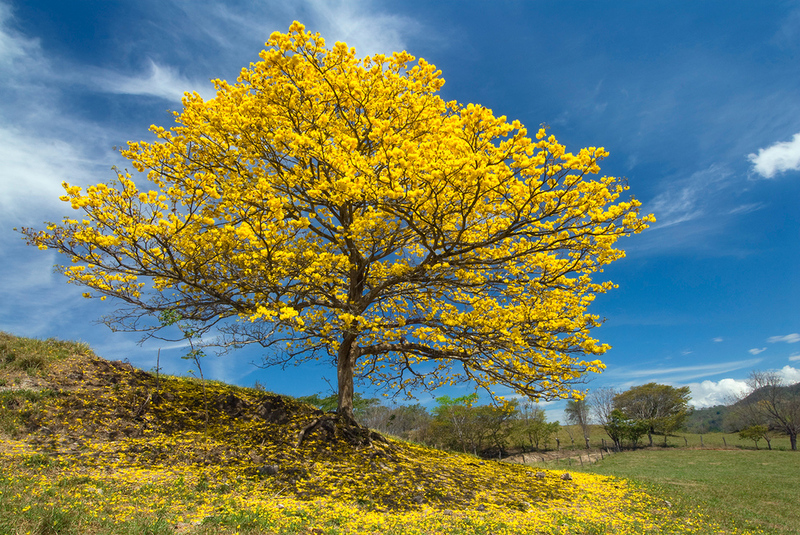 Between mid-April and mid-May, the tree sheds its leaves and becomes full bloom with beautiful yellow flowers, which will create a spectacularly unique, man-made wonder enriching the Belizean landscape further. “Being a late bloomer has its advantages. “There are few big-brand hotels here,” I am told, “and about the closest you’ll get to a chain is Francis Ford Coppola’s.” (He has two hotels in Belize – plus one in Guatemala and another in Buenos Aires.) 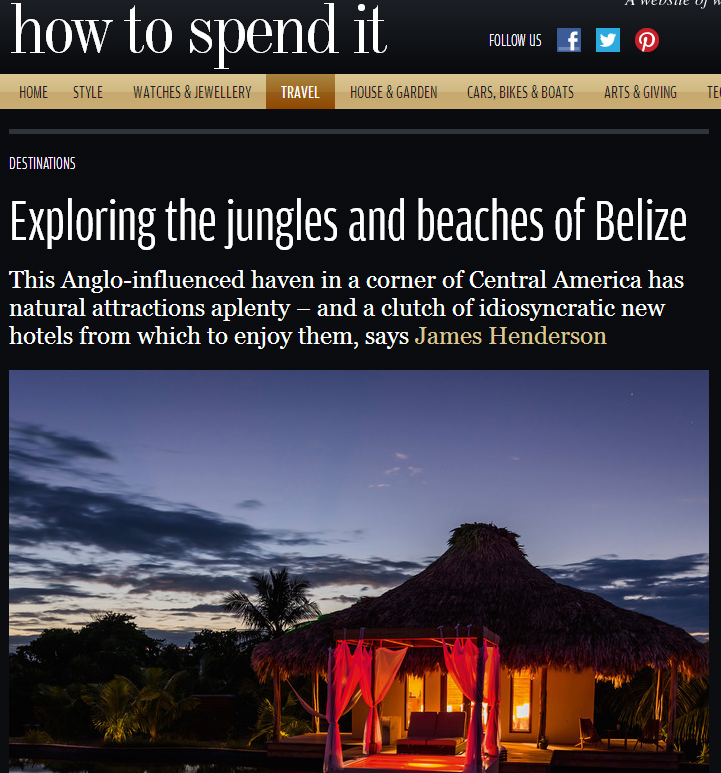 What this means is that Belize’s hotels are more individual, visibly invested with the personality – perhaps eccentricity – of their owners.” Read more in “How to Spend It”, Financial Times.